You learn something new every day. 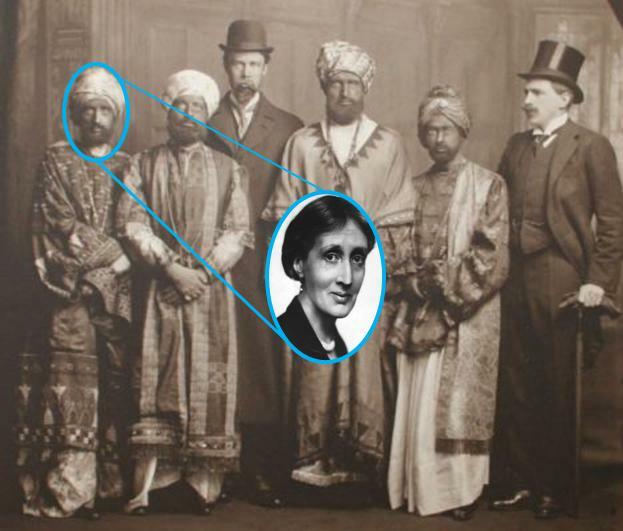 Today, for example, I learned that 28 year old Virginia Woolf helped perpetrate a hoax on the British Navy that got attention around the world. Not merely as a planner or supporter, mind you, but as a cross-dressing imposter prince in black-face. That’s right. Take a closer look at that sleight fellow on the far left below. That is not an Abyssinian prince. But the officers of the HMS Dreadnought thought it was. And hilarity ensued. You can read more about the Dreadnought Hoax here and here. 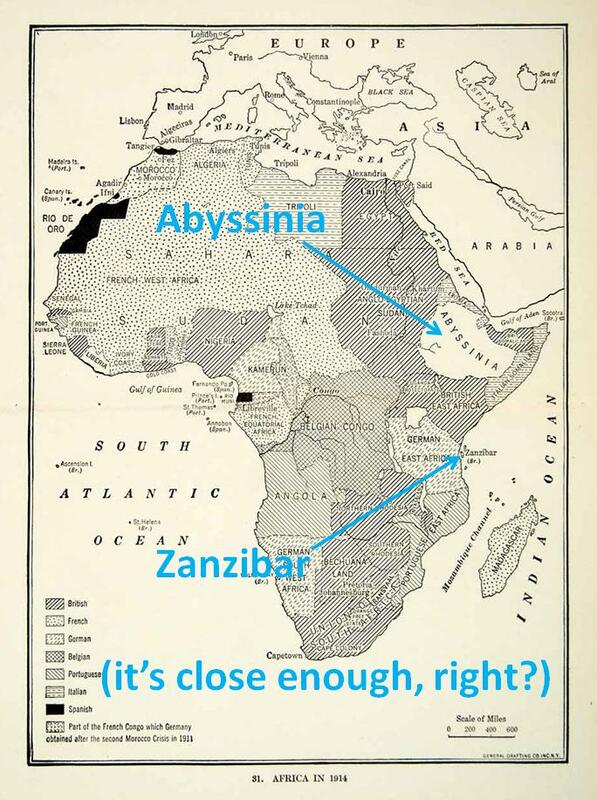 But my favorite detail is this: the Navy couldn’t scrounge up an Abyssinian flag anywhere, so the Honor Guard used the flag and national anthem of Zanzibar. Naturally.